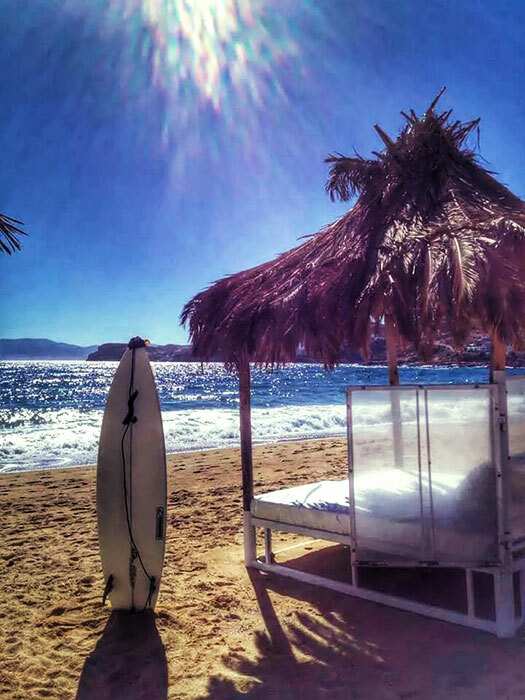 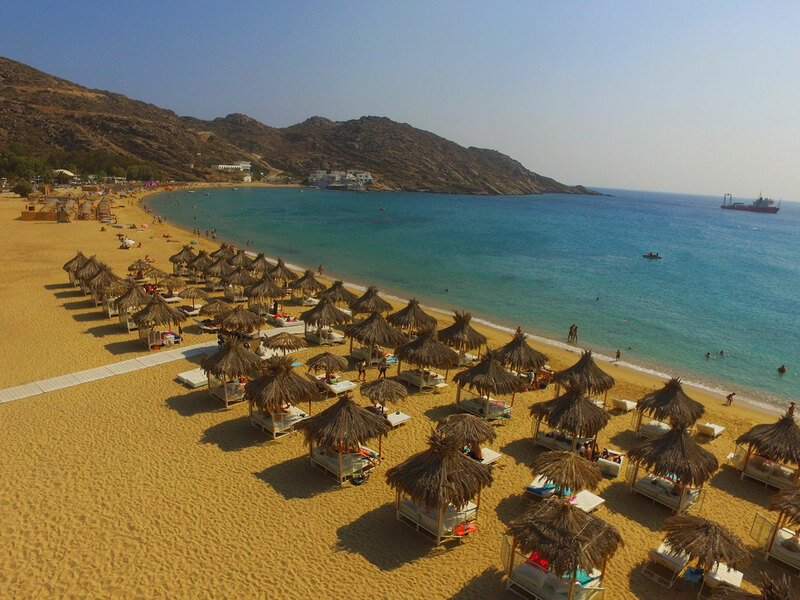 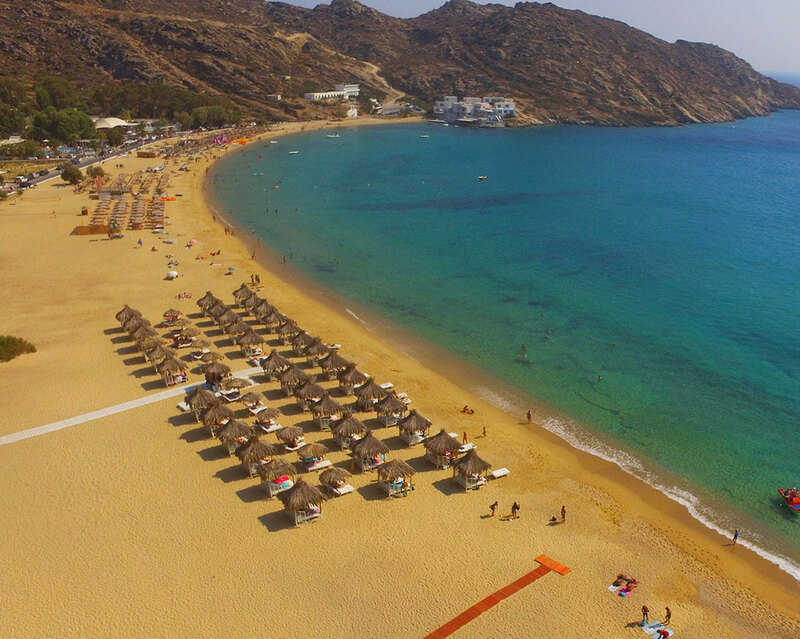 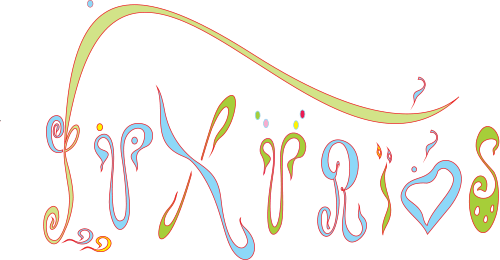 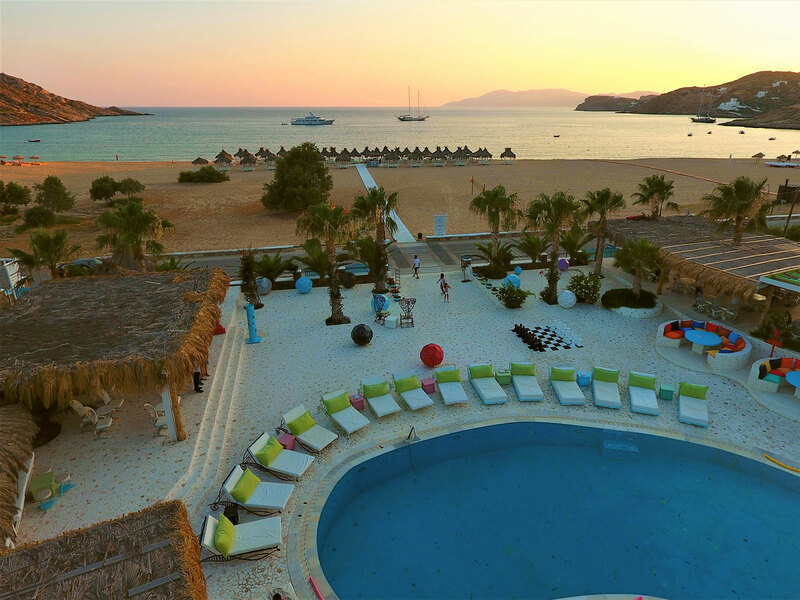 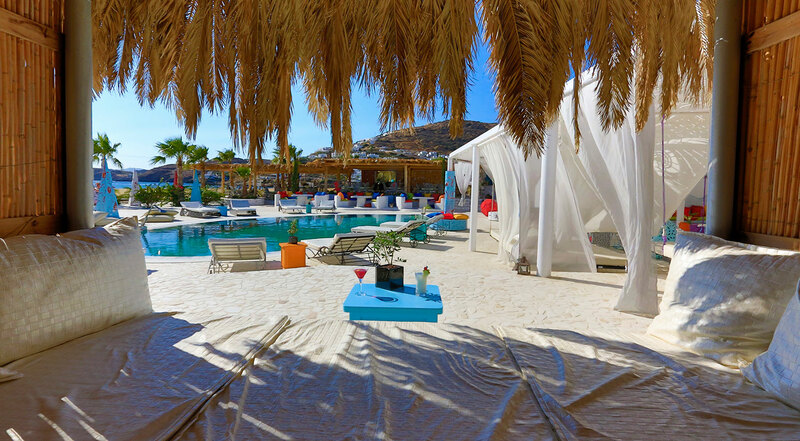 The LuxurIOS Island Experience reaches all the way to Mylopotas beach, with the most favorite Lounge Beach Bar and Restaurant in Ios Island. 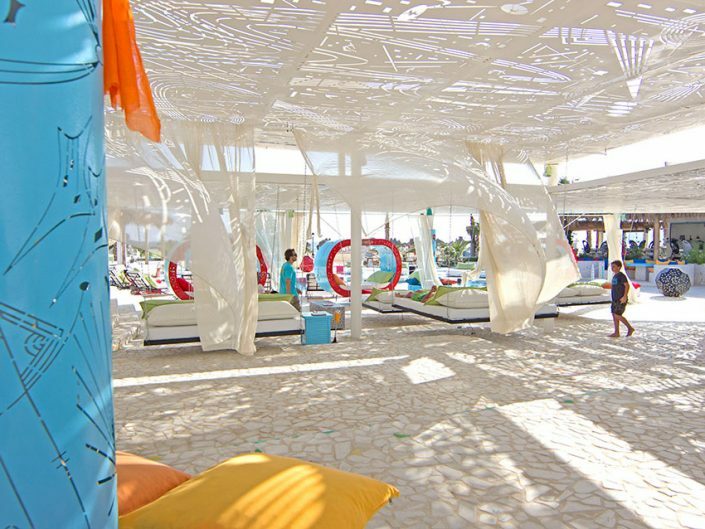 On a spectacular 1km long and 800 meters wide “blue flag” white sand beach, this exclusive beach bar lures guests to bask in the sun on the blue flag beach and dive in the crystalline waters of the sea.The 35 tropical palm tree roofed Cabanas & the 30 king-size beachbeds welcome guests to enjoy the vibrant island feel while bathing in pure luxury. 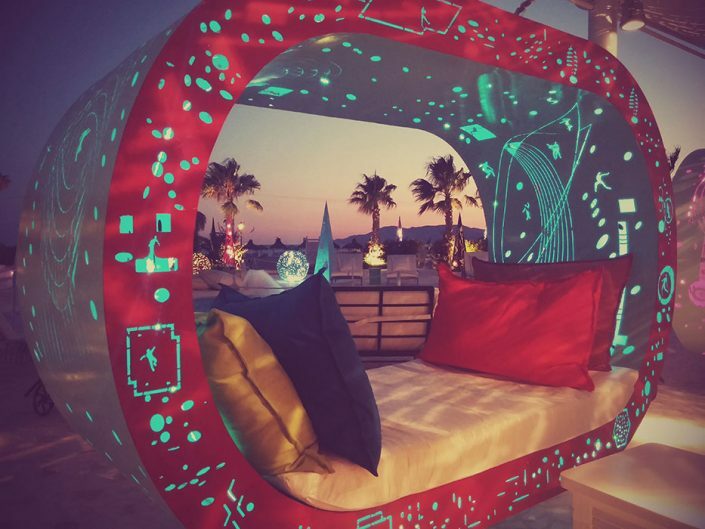 The refreshing cocktails and ice cold shots from the bar along with the live music create a festive mood that will keep the holiday spirit alive. 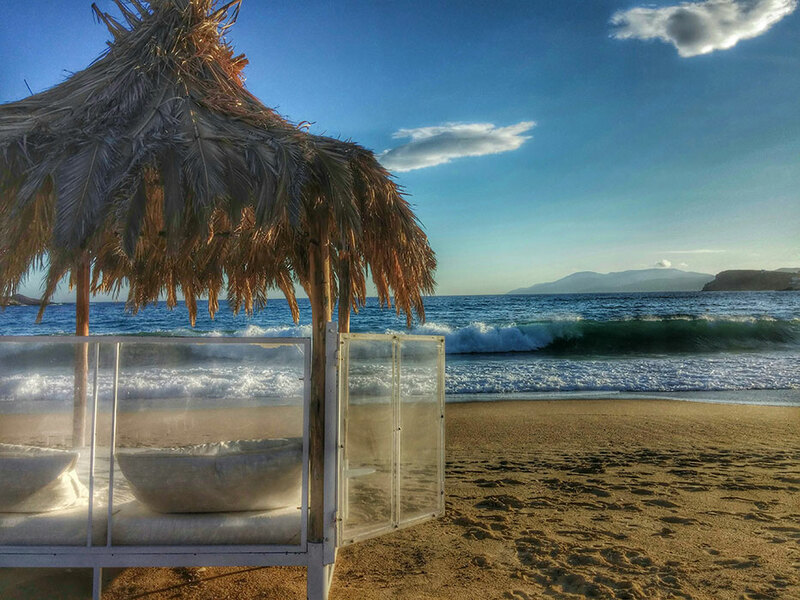 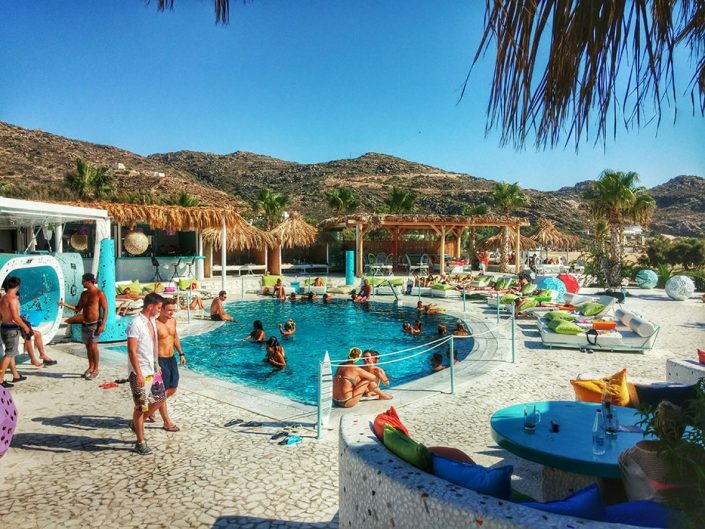 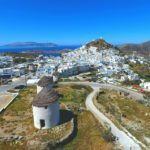 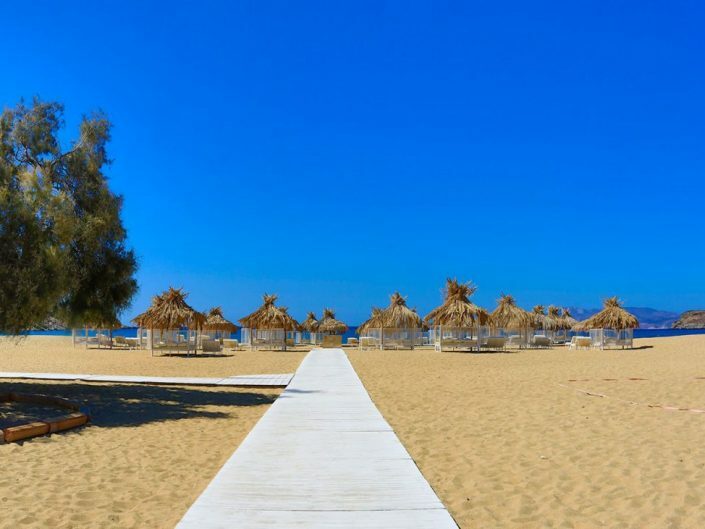 Along with the bar offerings, the Free beach restaurant in Ios Island, Greece offers a wide selection of scrumptious delights for the bathers including fresh fruit salads, delicious snacks and imaginative treats that will tantalize the senses. 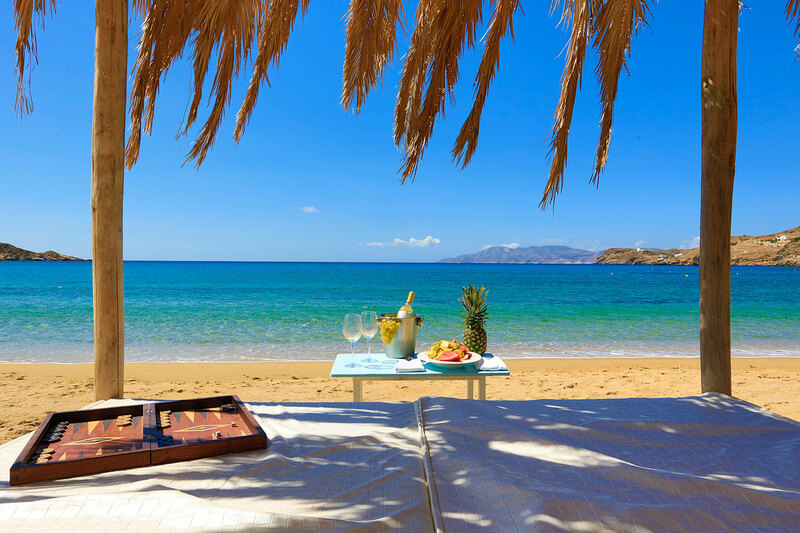 Guests are welcome to succumb to the pleasures of Luxury Island living while unwinding in one of the most beautiful beaches of the Aegean. 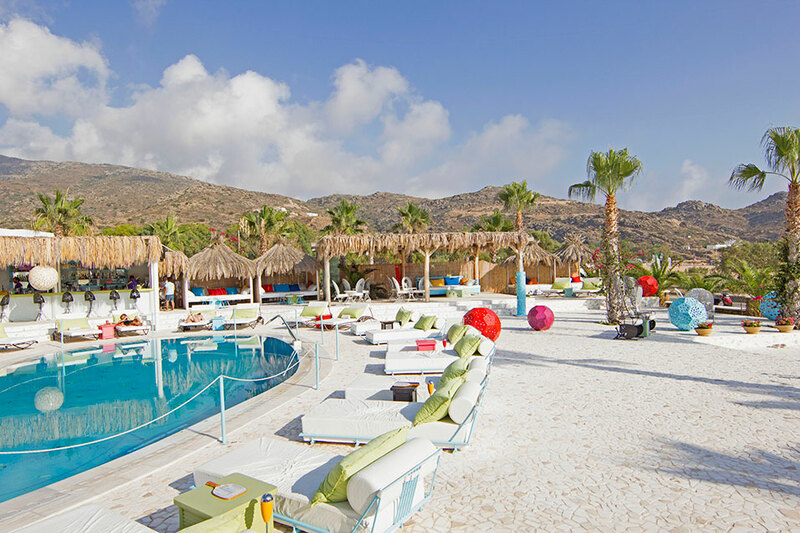 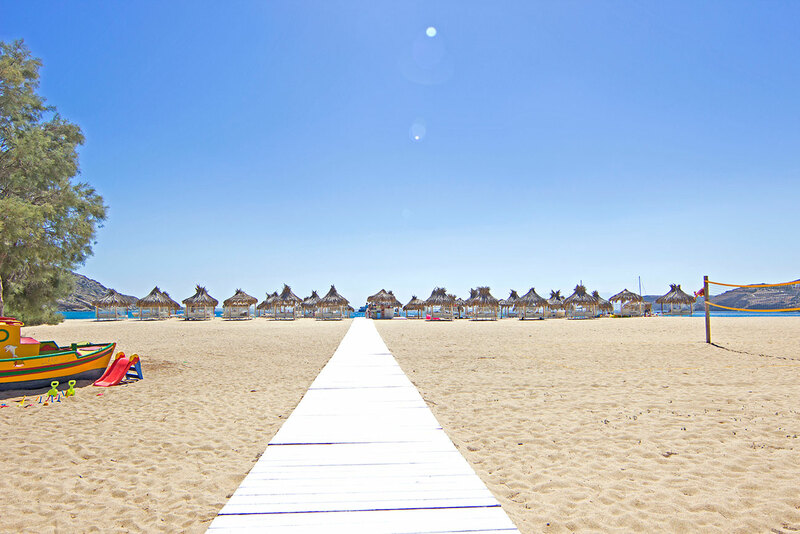 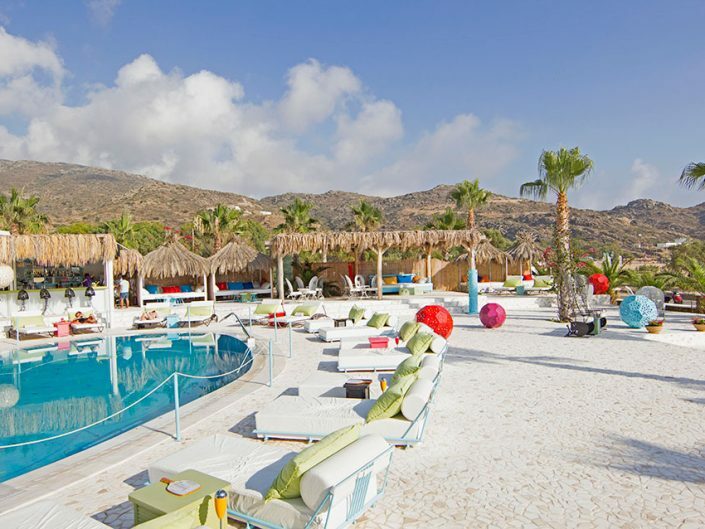 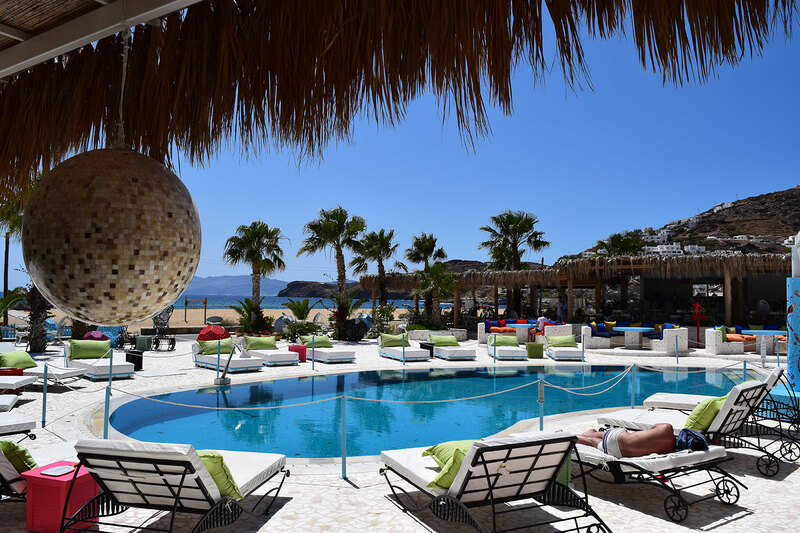 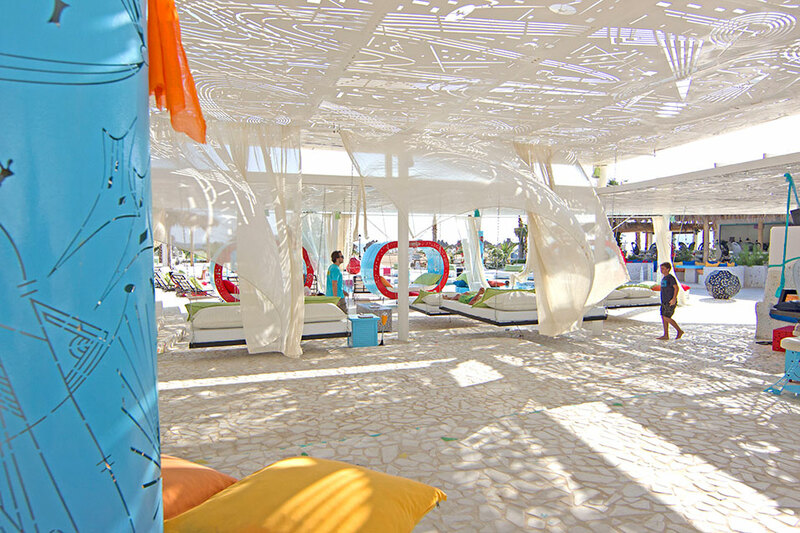 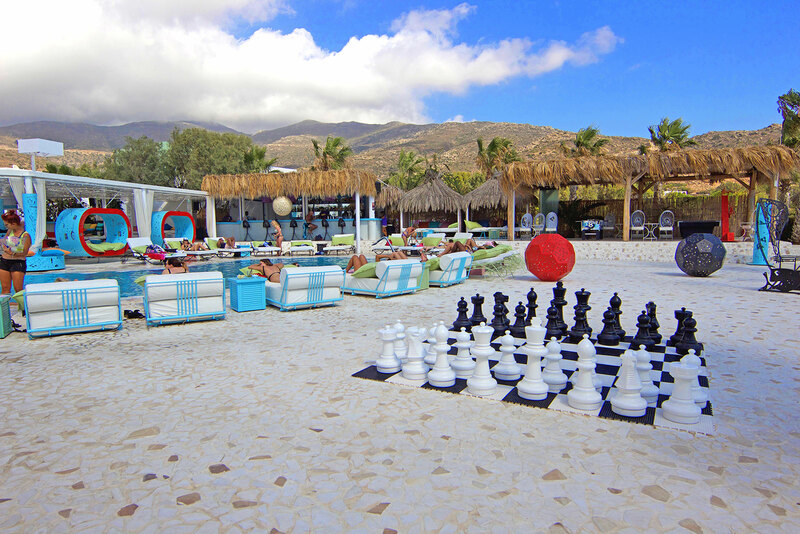 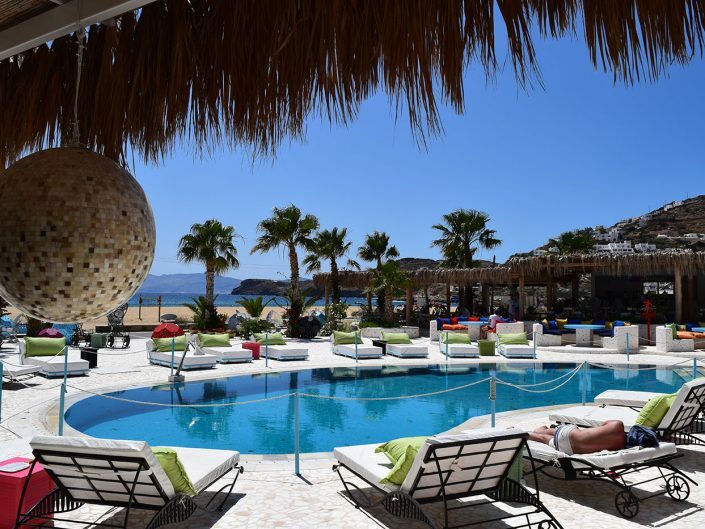 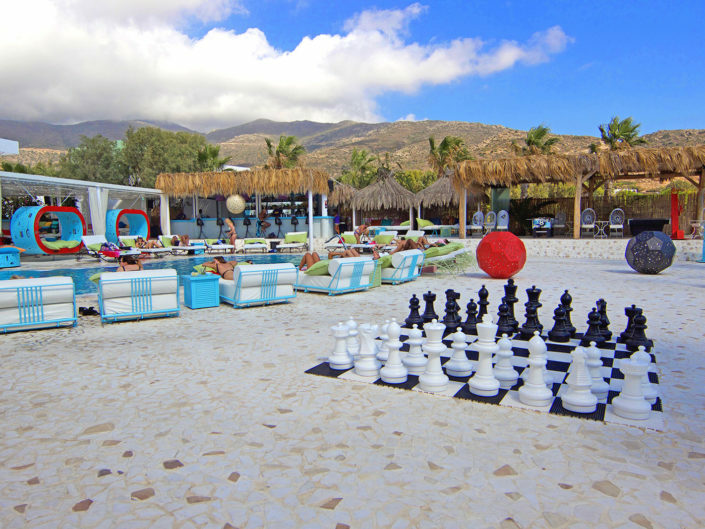 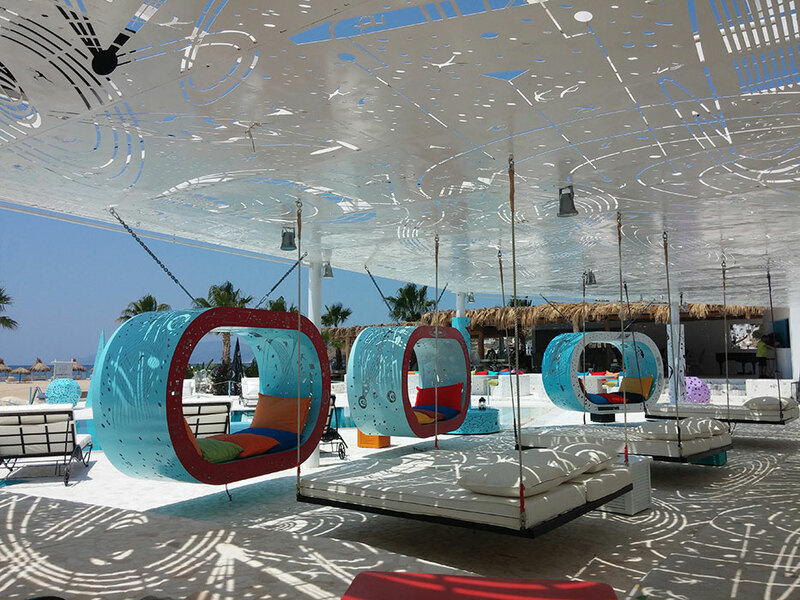 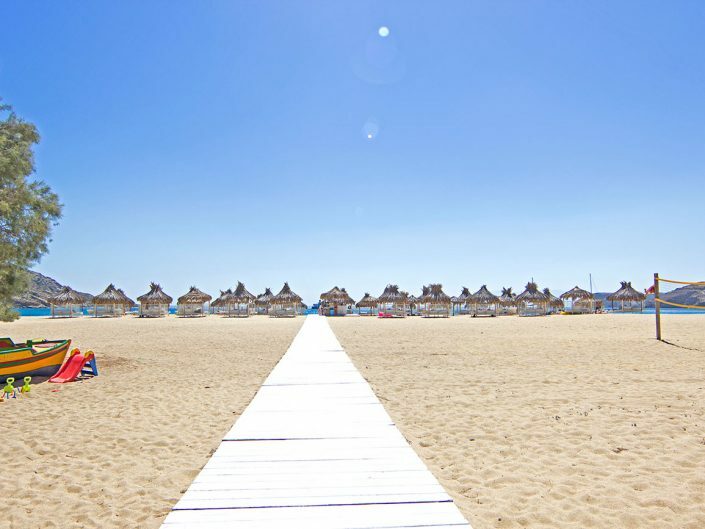 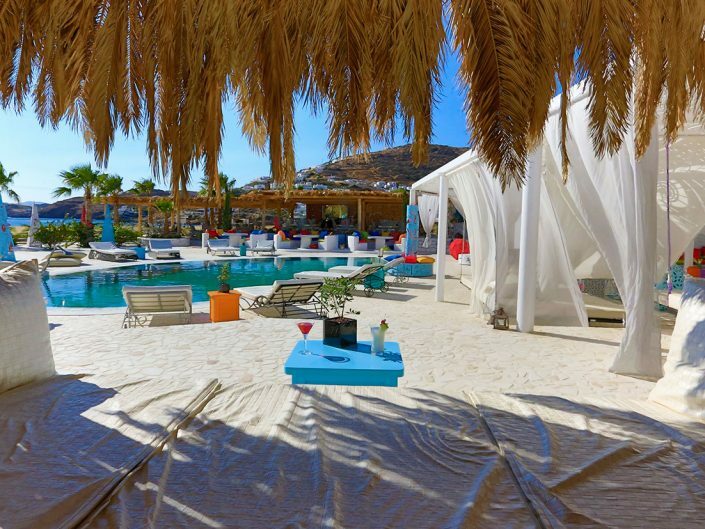 The chic and stylish design of all areas of the Free restaurant and beach bar in the Cyclades exquisitely blend with the casual island feel providing a haven of amusement and entertainment for all ages. 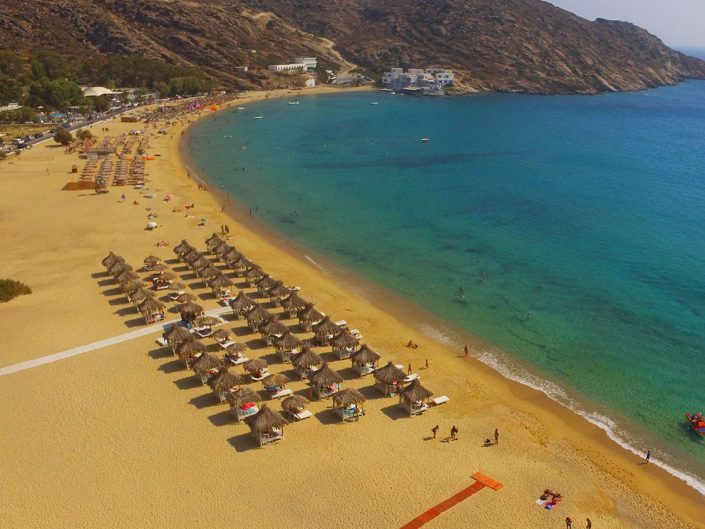 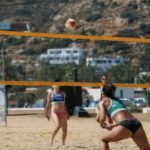 A wide range of thrilling water and beach sports give visitors the opportunity to partake in fun filled adventures with their family and friends while experiencing some quality time together.From the rising sun to the depths of the sunset and the moonlit shadows of the palm trees there is always something exciting going on this beach haven of LuxurIOS in Ios Island of the Cyclades.